Paraplegics may soon regain use of their legs, now that scientists have created an implant that proves effective in primates. In a spinal cord injury, brain signals are unable to reach the neurons that activate movement, often resulting in lower limb paralysis. But researchers from the Swiss Federal Institute of Technology in Lausanne may have found a way to bypass this, having successfully restored movement in two paralyzed monkeys. 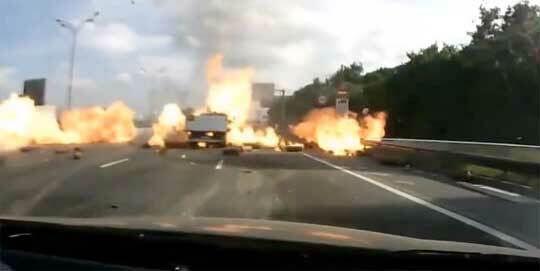 Ever Wondered What Happens When a Truck Carrying Gas Crashes?